The Cleveland Indians acquired the services of power-hitting first baseman and designated hitter Mike Napoli Wednesday on a one-year contract worth $7 million. Certainly this fills one of the team’s most significant voids, and he gives a frequently-improving Cleveland lineup another guy that can hit 15-20 home runs. However, health also becomes a risk; since appearing in 140 games with the Angels in 2010, Napoli has struggled to play a full season, peaking with the Red Sox in 2013 with 139 games played. Add this to the fact that 2016 will be his age-34 season, and this signing is somewhat of a head scratcher, even at his relatively low price tag. A head scratcher especially when you consider the Indians look to be one bat away from going from a mediocre baseball team to a pretty good one. It’s easy for non-Indians fans to forget their appearance in the 2013 AL Wild Card game. This is a fine crop of talent, and having Terry Francona as its manager doesn’t hurt, either. 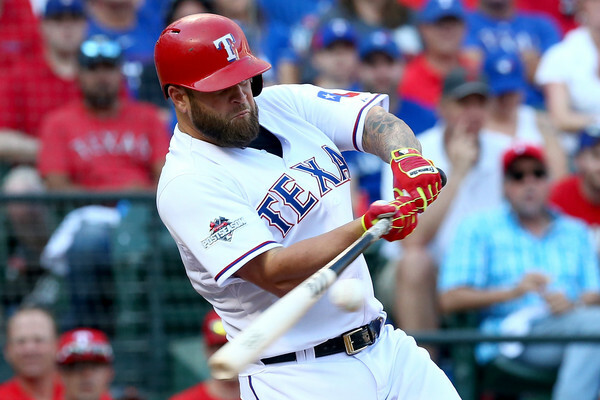 Does Mike Napoli address their need? It seems that every year the pundits pick Cleveland to surprise people, and every year the outcome is underwhelming. That’s because it’s easy to like the parts Cleveland puts on the field; they’re young, they’ve got pop, and their starting rotation has potential to be one of the best in the entire league. And yet the good pieces never seem to unify into a winning product on the field, because they’re surrounded by not-so-good parts. Take a gander at their starting rotation. Don’t let the win-loss records fool you; 2014 AL Cy Young winner Corey Kluber had another very good season in Cleveland despite going 9-16, by posting a 3.49 ERA and even more impressive 2.97 FIP. His strikeout-to-walk rate was outright absurd at 5.44. He still pitched like an ace in 2015, he just didn’t have the wins to show for it. Below Kluber are Trevor Bauer (24), Danny Salazar (25), Carlos Carrasco (28) and Cody Anderson (24), who put together a combined ERA of 3.67 in 105 starts, but only had an overall record of 46-35 to show for it, which is good, but the cumulative effort of their performances shouldn’t have placed each guy between one and four games of .500. By the way, if you add Kluber’s 9-16 record to that total, you’re at an even more underwhelming 55-51 in 137 starts. On paper, this is without question one of baseball’s most talented rotations; their solid strikeout rates and ability to prevent baserunners are first-rate, and age is on their side with Kluber as the oldest of the bunch at just 29 years of age. So what gives? This team can’t hit. In 2015, the Indians ranked eleventh in the AL in runs per game (4.16) and third-to-last in home runs (141). They came out with an impressive team on-base percentage of .325 (tied-third in the AL), but they were second in leaving the most runners on base (1,147, only four behind the Yankees) and third-to-last in total bases. As any baseball fan knows, there’s not much of a point in getting those guys on if they’re not going to score. These offensive struggles can be attributed in part to albatross contracts that made their lineup quite the mismatch for the better part of the season. Nick Swisher, Michael Bourn and Brandon Moss failed to deliver any notable offense, and fortunately for the Indians front office they were able to unload these contracts and place their focus on the future. And the future looks bright with the talent they have. Michael Brantley (.310/.379/.480 in 2015), Jason Kipnis (.303/.372/.451) and Francisco Lindor (.313/.353/.482) all fill out the meat of their lineup entering 2016, so they’re not in a bad place. And while fans and executives seem to have lost patience with 29-year-old Carlos Santana, who hit a disappointing two home runs in 154 games, he continues to be an on-base machine, walking an impressive 108 times in 2015. If he can tap into his power once again, he’s another valuable asset entering next year. After that, however, it’s kind of a black hole. It’s not unfair to think one more power bat – added alongside the aforementioned four hitters – would significantly benefit the Indians and give them the boost they need to make sure those baserunners actually cross home plate. There have been rumors since the regular season about a potential deal between the Cubs and Indians that would give Cleveland Jorge Soler (and probably a quality prospect or two) for one of Carlos Carrasco or Danny Salazar. This trade makes a world of sense for both teams, as the Cubs have a surplus of position players and may be able to use another starter, and the Indians need another bat and have a wealth of talent in their rotation. Alas, no such deal has come to life. That doesn’t have to be the trade Cleveland makes to bolster their lineup, but conceptually it’s perfect: send one of the many impressive young starters to a team that needs pitching in return for a quality bat. Good starting pitching almost always comes at a premium, so they would likely find themselves on the right side of any deal they could make. Instead, their rumor mill has been largely inactive this offseason, as they haven’t seemed to be “in” on any of the major parts that have moved on the market, nor do they seem to be intrigued by quality free agents like Alex Gordon, Yoenis Cespedes or Justin Upton. It’s a very interesting position for them to take, since the rest of the AL Central keeps getting better around them, and their offense as it stands simply isn’t good enough to compete. They proved that last season. That’s why signing Mike Napoli is such a confusing decision. On paper he looks very much like Nick Swisher or Brandon Moss, and those signings were disasters for the Indians. Napoli isn’t the player he was for the Rangers in 2011; in fact, he peaked very quickly that one season and never replicated that success. His on-base percentage dropped 46 points between 2014 and 2015, and since 2012 he has punched out twice as often as he’s walked. Yes, he’s still averaging 20 home runs a year, but he appears to have morphed into a boom-or-bust hitter and, entering his age-34 season, it’s hard to imagine he’ll improve with any significance. Napoli’s splits indicate much greater success against left-handed pitching (.278/.391/.563), which I’m sure the Indians hope he continues into next year, but if he’s going to be the everyday first baseman as the front office has indicated, his trouble against righties could bite them. If his trends continue, Napoli could provide a slight jolt to the Indians lineup, but not the jolt they need. If Cleveland has any expectations of success in 2016, they need to do more. Even if Mike Napoli finds the Fountain of Youth and puts up 2011 numbers (which this writer is never fully willing to rule out), you have five productive offensive players and four black holes. There’s still work to be done, and the Indians front office has yet to indicate they’re willing to do that work.